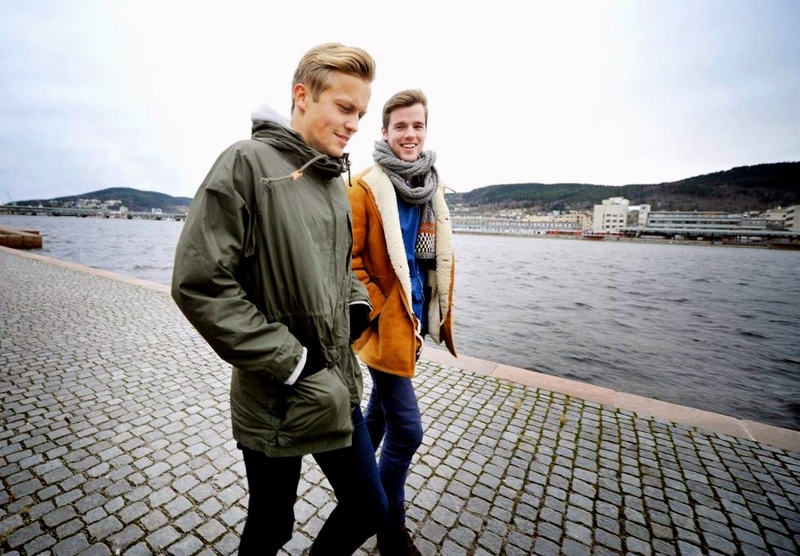 The following fill in the blanks come from Norwegian dream pop duo, Alfred Hall. Members Hans Thomas Kiær and Bjørn Tveit began writing music together in the summer of 2009. Alfred Hall’s music is known for its beautiful melodies, addictive hooks and ethereal vocals. They released the Alfred Hall EP in 2014, which features my favorite track “Foreign Coast.” Learn more about the band from their responses and be sure to check out the video for their track “Lose That Gun” below. The meaning/story behind our name Alfred Hall is….Some hundred years ago on Hans Thomas’ farm there used work a farm hand called Alfred. He was known throughout the region for his ingenuity with the guitar, and his favorite place to play was in the large halls you’ll find inside the main house. Fond of reverb it seems, like ourselves. Three words we’d use to describe us are….dreamy, melodic and harmonic. We met each other….on New Years Eve 2004. Hans Thomas was having a party at his house, and I came along as my friends date. I think he was a bit skeptical at first, but we soon hit it off. The pickiest eater….might be Bjørn, but I think both of us will eat pretty much anything. The most OCD member is….Bjørn. For fun we like to….make music, surf and do magic. We’re currently listening to….Mac Demarco, Yumi Zouma and Júníus Meyvant. We find inspiration from….other artists, such as the abovementioned, and when people tell us how much they enjoy listening to our music. One thing we want you to remember while listening to our music is….that “this world is but a canvas to our imagination” – Henry David Thoreau. (Sounds a bit like a cheezy poster someone would have as their cover photo on facebook, but hey, we like it). Something odd we want our fans to know about us is….that there is a sport called Archery Tag which is basically the same as dodgeball, but with foam-tipped arrows. That sounds pretty amazing. Our last meals would be….a nice steak with potato boats and a some delicious sauce. Or maybe pancakes. Man, we love pancakes. This entry was posted in Fill In The Blank, Interviews and tagged Alfred Hall, Alfred Hall music, artist interview, band interview, dream pop, dream pop music, duo, fill in the blanks, foreign coast, interview, lose than gun, Norway, pop music. Bookmark the permalink. These guys are amazing. Thumbs up.